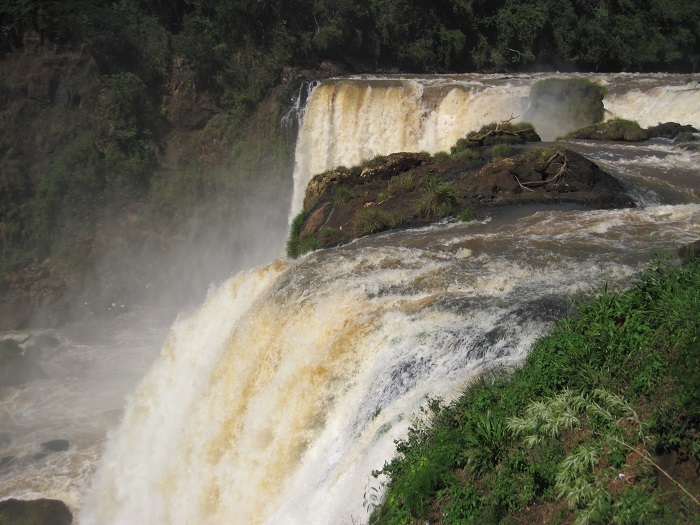 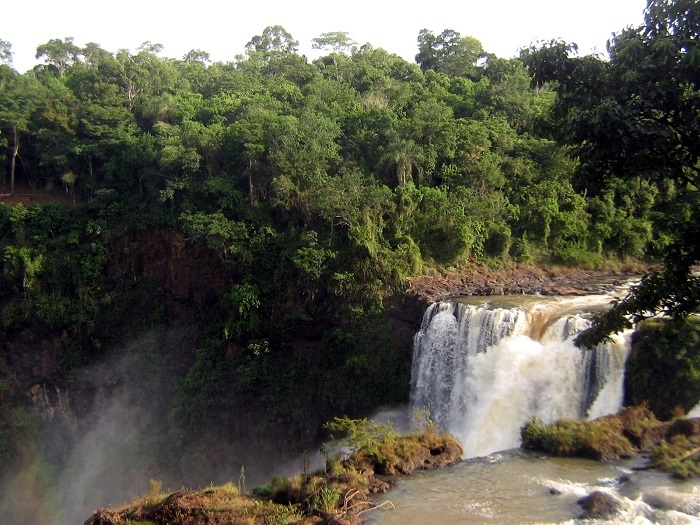 The Saltos del Monday is a large waterfall that is part of the Municipal Park Monday, which are located in the Presidente Franco District in the Alto Paraná Department, within the Republic of Paraguay. As it is approximately 45 meters (148 feet) tall and some 120 meters (390 feet) wide, it is consisted of three main falls with other minor one which are rushed up near the mouth of the River Monday, nonetheless it is definitely one of the most impressive landmarks of the small republic from South America. 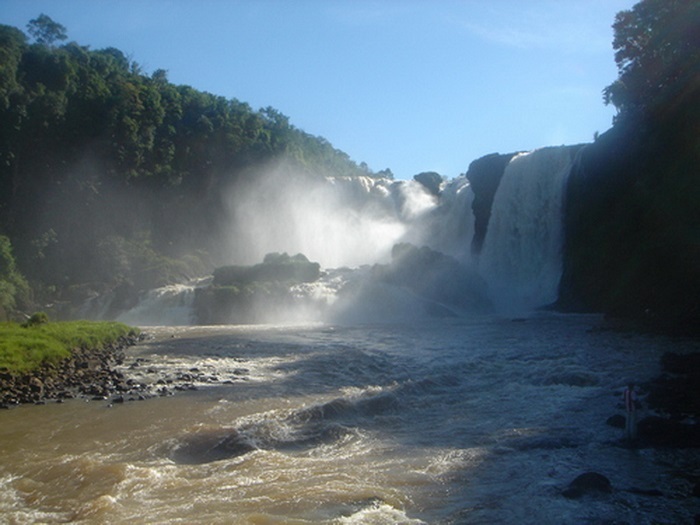 Even though it is located on a tributary that feds the Paraná River, the Saltos del Monday lacks the popularity due to the vicinity of the Iguazú Falls which are located some 24 km (15 mi) away from this Paraguayan treasure. 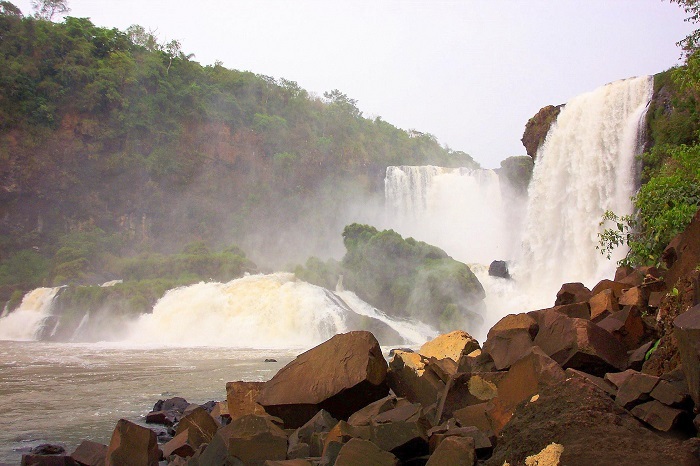 Still, the impressiveness of Salto del Monday comes from the tens of thousands of swifts that gather in the air as dusk falls, forming a cloud that is wrapping the rocks which encircle the waterfall. 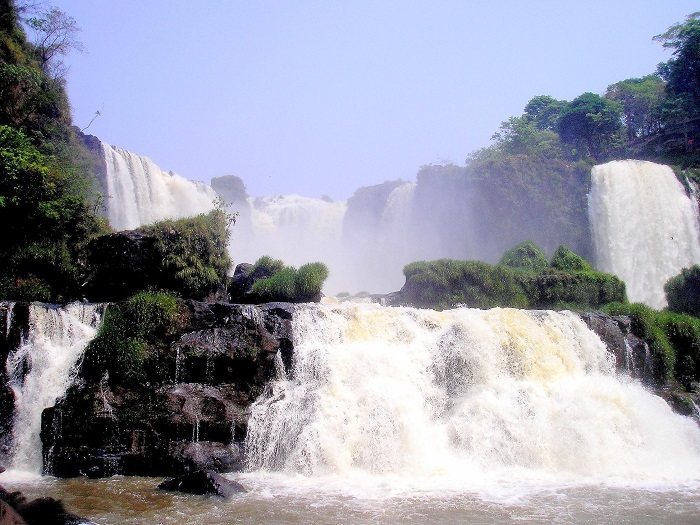 In addition to this precious hidden gem, there are extra activities a person can do at the forest that surrounds the waterfall, giving it a pinch of extra beauty and something different one could see in South America, and Paraguay in particular.